When computer hardware companies want to boost their revenue one of the things they frequently do is branching out into new product segments. There are many examples of this, but especially Arctic Cooling has been pretty active in this field recently. In the past the Swiss firm primarily focused on cooling solutions for CPUs and GPUs, but these days the company offers all kinds of peripherals, including keyboards, mice, earphones, laptop bags and batteries. Arctic Cooling offers several battery and battery charger solutions and in this review I'm taking a closer look at the Arctic Power Charger Plus. 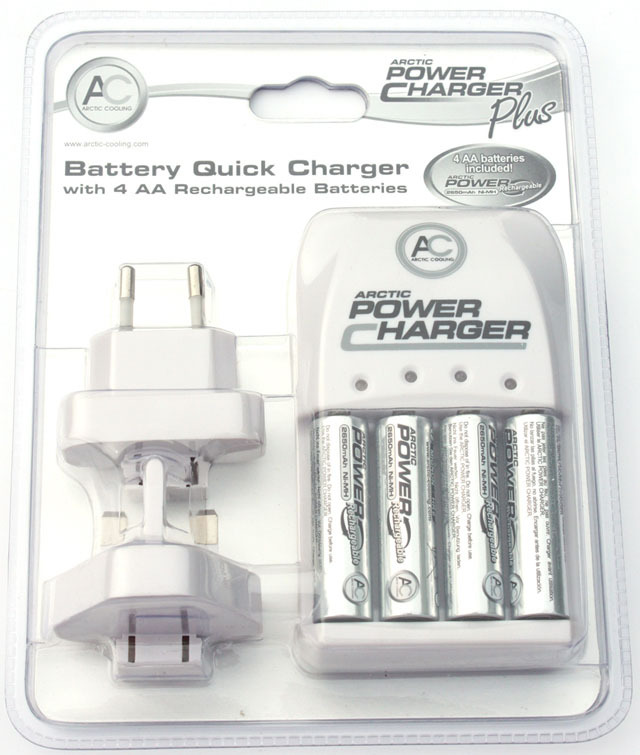 This device is described as a battery quick charger and the package also includes four AA batteries. 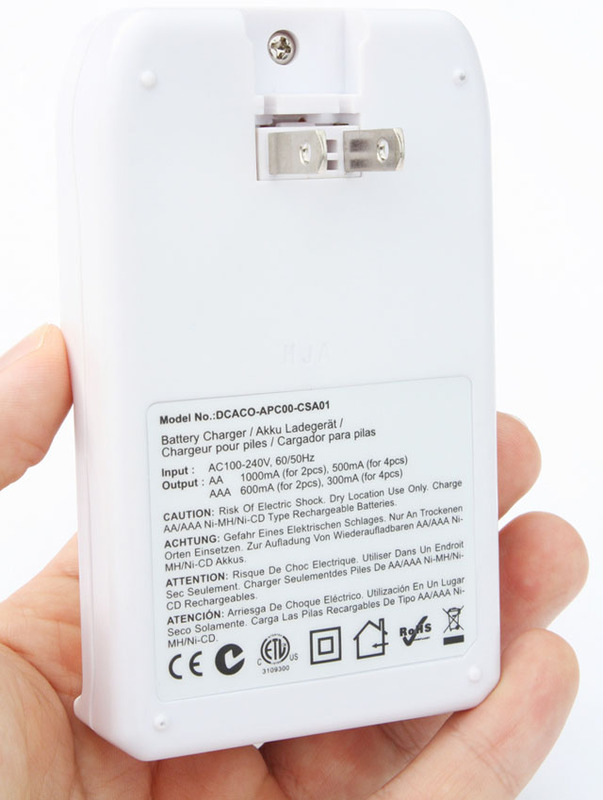 The product ships in one of those typical plastic blister packages, it includes the charger, interchangeable tips for abroad and four rechargeable AA batteries. The charging dock looks pretty ideal for travelers, it's very compact and it can be used in many parts of the world thanks to the interchangeable tips. The Power Charger Plus supports AA and AAA batteries, it has four independent channels to simulteaneously charge batteries with different discharge rates, capacities and sizes. Charging is ceased automatically when something is wrong, the Power Charger Plus is equipped with protections against negative delta voltage, over charging, overheat, reverse polarity, overcurrent, short circuit, and using defective and non-rechargeable batteries. The design of the product is pretty basic, it's a white rectangle-like block with rounded corners and an Arctic Cooling logo slapped onto it. The front has an open tray for up to four batteries and each channel has its own LED status indicator. Four independent channels - charge batteries safely with different discharge rates, capacities and sizes simultaneously. Here's a closeup of the battery compartment. Each channel has a pair of charging clips, the large one is intended for AA batteries and the smaller one accommodates AAA batteries. According to the specifications, the charging station is compatible with Ni-MH and Ni-Cd batteries. Four rechargeable Ni-MH batteries are included in the package, they provide 1.2V and are rated at 2650mAh. 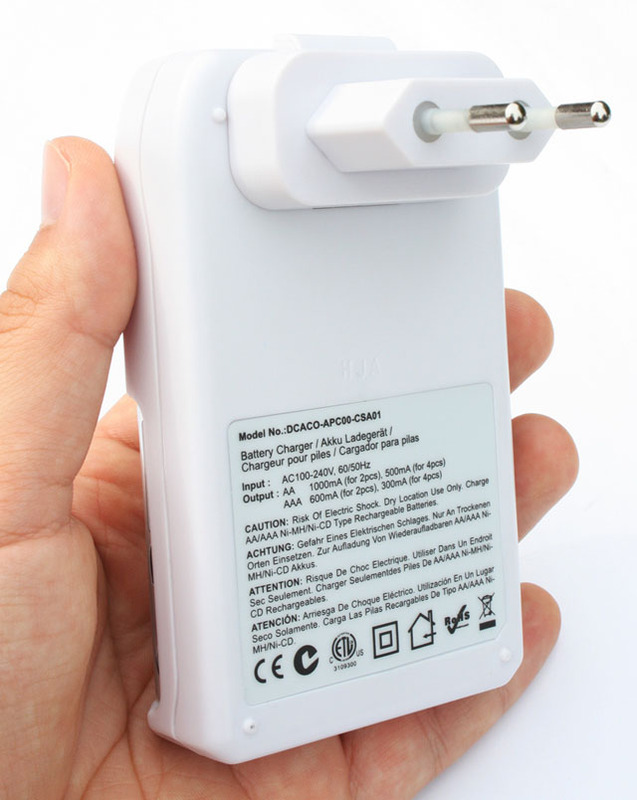 The back of the charger lists the specifications and the usual safety warnings. The default power plug is a 120 VAC model that should be compatible with North America, Japan and China. This plug can be folded so the charger takes up less space. Additionally, Arctic Cooling also provides a 230 VAC plug for the UK/UAE and a 230 VAC plug for Europe, South America and Africa. With these three plugs you should be able to recharge your gizmos' batteries in most parts of the world. The extra power plugs are installed by sliding them over the 120 VAC plug. 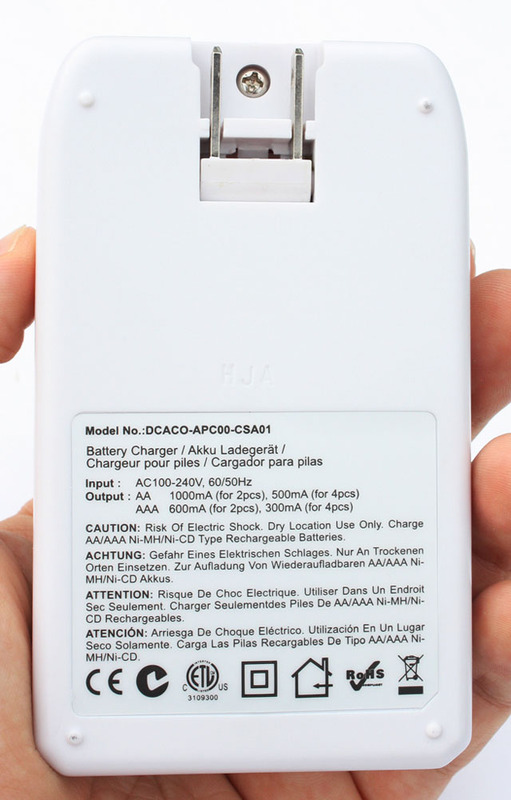 AA and AAA batteries are inserted into the Power Charger Plus with ease. When you plug the charger into a wall socket the status LEDs will light up to notify you of the battery status. Green obviously means the battery is fully charged and red means the Power Charger Plus is still charging. Unfortunately, the battery status doesn't work for all batteries. It works fine with the included Arctic Cooling AA batteries but when testing various other brands (including Varta, Memorex, GP and some no-brand batteries) I noticed the red LED would flash when I inserted the batteries into the charger. The manual doesn't reveal the meaning of this error message but testing showed that these batteries are charged, the blinking red LED apparently means that the charger can't detect the battery's capacity. Another nuisance are the slow charging times. 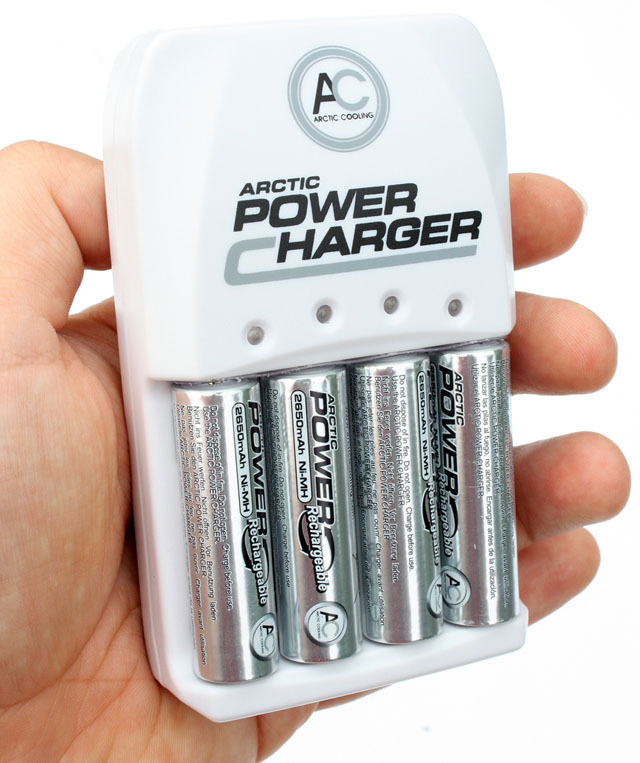 The Arctic Power Charger Plus takes about six hours to charge four 2650mAh batteries simultaneously, which is very slow considering there are chargers on the market that can do this job in 45 minutes or even less. The charging speed depends on the capacity of the batteries and how many you're charging at the same time. 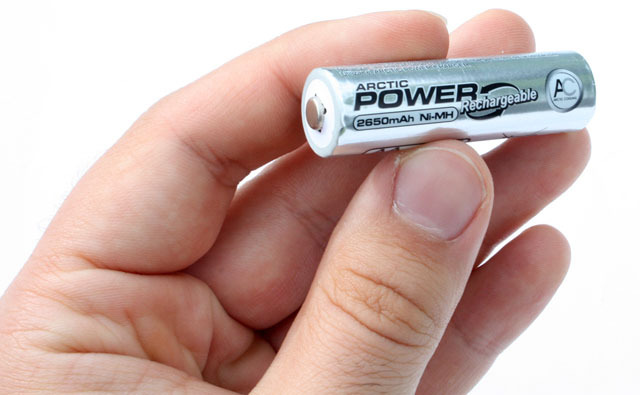 Charging a pair of 1000mAh AAA batteries typically takes two hours while charging four of them will take about twice as long. 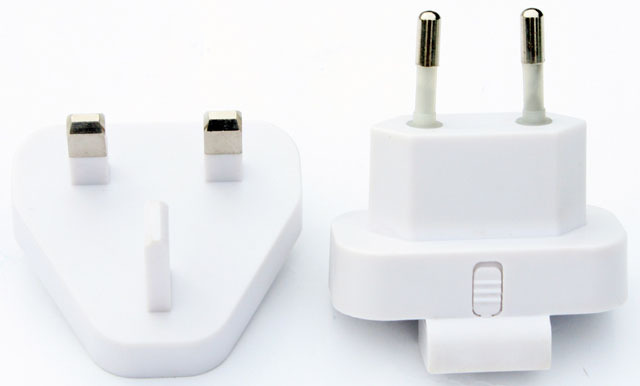 One of the main selling points of this charger are the interchangeable AC plugs that enable you to use this product in most parts of the world. Combined with its compact size, this could make the Power Charger Plus a nice companion for frequent travelers. Those wishing the fastest possible charging times will need to look elsewhere, there are ultra-fast chargers on the market that can do this job a lot faster than the Power Charger Plus. 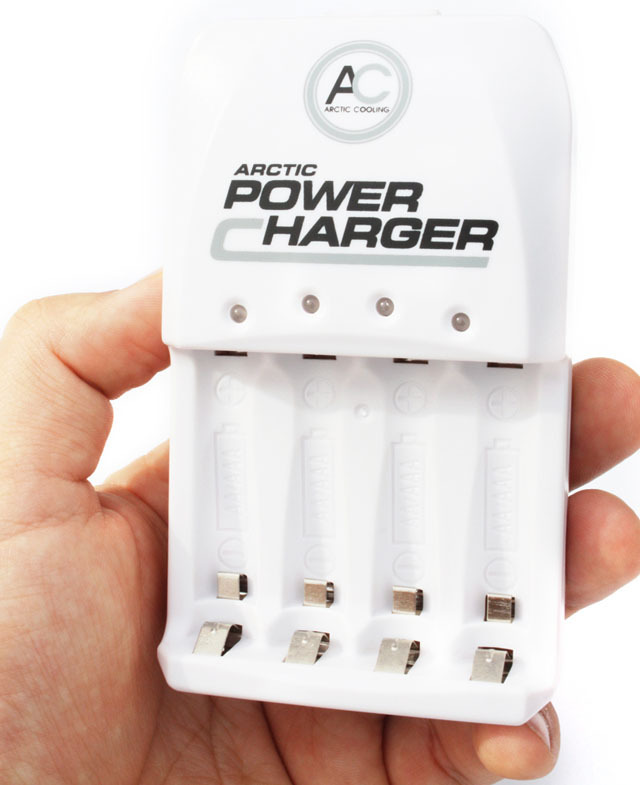 The Arctic Power Charger Plus has a MSRP of 29.90EUR ($45.90, excl. VAT). Not really a "quick charger"
I give the Arctic Power Charger Plus a 6/10.